Unless your vehicle is a trailer queen or a museum piece, most of us spend the majority of our time behind the wheel. Isn’t it a great feeling sliding into a seat of a clean and detailed interior of a vehicle regardless if you are a driver or a passenger? As a rule of thumb, you want to use a water-based dressing like Jax Wax Shine All on all of your delicate interior vinyl. rubber and plastic surfaces. 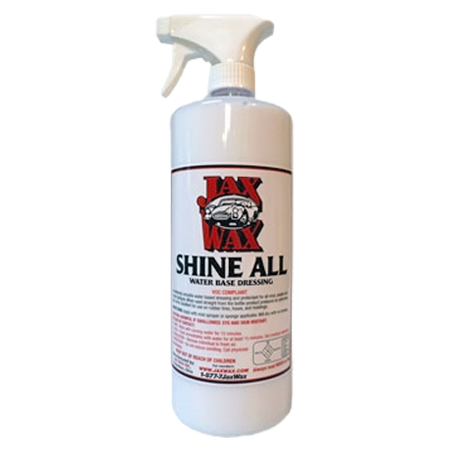 Jax Wax Shine All is extremely versatile in the fact that you can adjust the “shine” by mixing it with water. For those that want a high shine, use it straight out of the bottle. Want to tone down the shine? No problem – just add water to get the finish for your personal taste. That’s something you can’t do with virtually any other retail product. 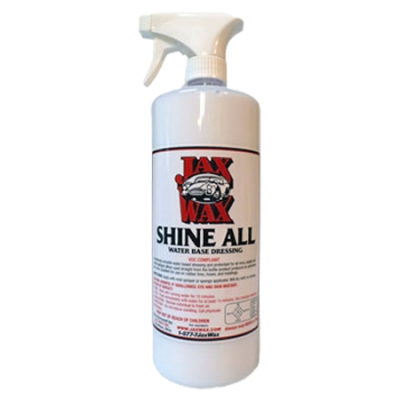 Jax Wax Shine All offers excellent protection from UV damage and heat. 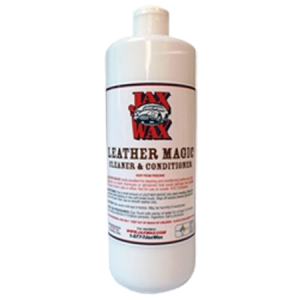 Jax Wax Shine All dries completely instead of staying ”greasy or tacky” attracting dust. Jax Wax Shine All easily brings back the brilliance of faded trim, lasts longer and makes it easier to keep your interior looking “Showroom Fresh”. 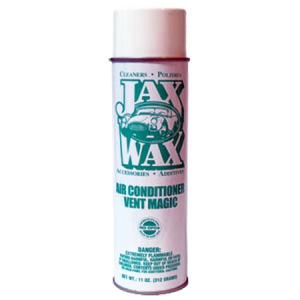 Be the first to review “Jax Wax Shine All Protectant” Click here to cancel reply.